Also known as “Weird Couple 'o Fives” (unofficial). Added on: Sept. 12, 2012, 4 p.m. Dark Arts 081117 - Progressions Chris Ronald Aug. 9, 2017, 8:21 p.m.
RSCDS Leicester Class - 18 Jan 2018 2018-01-18 Margaret Spence Jan. 2, 2018, 12:17 p.m.
Budapest Local Club 14.01.2014 2014-01-14 Zoltán Gräff Jan. 15, 2014, 8:40 a.m.
Budapest Local Club 21.03.2019 2019-03-21 Zoltán Gräff March 21, 2019, 9:49 p.m.
Bi-FZ­Z_2016-05-19 Verl Girl May 19, 2016, 10:51 p.m.
Scottish Sleuth Mary Olszowka March 30, 2017, 12:07 a.m.
FSCDC 19 September 2017 2017-09-19 Anselm Lingnau Sept. 20, 2017, 12:57 a.m.
Leicester Caledonian - 15 Jan 2018 2018-01-15 Margaret Spence Jan. 5, 2018, 4:52 p.m.
LSCDC 10 Nov 17 2017-11-10 John Watkins Nov. 7, 2017, 2:01 p.m.
171123A 2017-11-23 Michael Däther Nov. 19, 2017, 6:26 p.m.
Cologne Ball 2013 (»Passion Meets Profession«) Anselm Lingnau July 3, 2013, 11:53 p.m.
Atholl SCDC - Brian's Programme - 8 November 2016-11-08 Joy Scott Nov. 9, 2016, 4:09 p.m.
Vienna 130306 2013-03-06 Felix Hamelbeck March 9, 2013, 11:04 a.m.
Harwell Ball 2015-04-25 Malcolm Austen Nov. 23, 2014, 7:47 p.m.
LHC_Pont_Street 2015-05-09 Matthew Goulden May 9, 2015, 3:25 p.m.
Cologne Ball 2013 - Passion meets Profession 2013-09-28 Anja Breest Sept. 30, 2015, 3:33 p.m.
Scotia 8 August 2016-08-08 Deborah Leary Aug. 7, 2016, 7:31 p.m.
Oldenburg 2018-06-13 2018-06-13 Sir Toby June 14, 2018, 8:02 a.m.
Chiswick - 25 March 2018 Club Night 2018-03-25 James Wilson Feb. 23, 2018, 2:01 p.m.
Duddingston 16 March 2017 2017-03-16 John Watkins March 12, 2017, 10:41 a.m.
Darmstadt_2017_09_25 2017-09-25 OnYourToes Darmstadt Sept. 20, 2017, 8:16 p.m.
Two couple dances for improvers Nicola Scott Nov. 30, 2015, 8:34 p.m.
2018-06-09 Dunedin Summer Dance 2018-06-09 Ian Brockbank Feb. 13, 2018, 10:21 p.m.
20181027 - Trinity Club Night 2018-10-27 Zsofia Jozsef Oct. 8, 2018, 10:54 a.m.
Vienna Branch Social Evening, Saturday 10.11.2018 2018-11-10 Felix Hamelbeck Nov. 3, 2018, 12:10 p.m.
Newbury 2012-11-10 Annual Dance 2012-11-10 David McQuillan Oct. 3, 2012, 10:40 p.m.
Atholl SCDC Week 12 Brian`s Programme 04/12/18 Website:- www.athollscdc.co.uk/ 2018-12-04 Brian Martin Oct. 29, 2018, 8:52 a.m.
Headington 21 June 2018 2018-06-21 Sandra McLevy June 23, 2018, 10:22 p.m.
Bedford SDG 2015-04-12 Social 2015-04-12 Keith Rose Jan. 5, 2015, 10:26 a.m.
2018-10-27 Trinity 2018-10-27 John Nuttall Oct. 25, 2018, 1:30 p.m.
Budapest Local Club 27.10.2015 - advanced 2015-10-29 Zoltán Gräff Oct. 30, 2015, 3:03 p.m.
Abingdon 8 January 2018 2018-01-08 Sandra McLevy Jan. 9, 2018, 12:15 a.m.
Headington 29 March 2018 2018-03-29 Sandra McLevy March 20, 2018, 12:37 p.m.
Leicester Ball November 2015 2015-11-14 George Shepherd Oct. 26, 2015, 11:43 p.m.
Bedford SDG 2017-05-20 Annual Ball 2017-05-20 Keith Rose March 29, 2017, 11:16 a.m.
Richmond 10.04.2019 2019-04-10 Simon Stewart April 8, 2019, 7:37 p.m.
170424 Nürnberg 2017-04-24 Annette Lotz July 23, 2017, 10:50 a.m.
Bielefeld Dance 2016 Vorschlag 3 Verl Girl May 16, 2016, 8:24 p.m.
Bielefeld Dance - 16. 7. 2016 Verl Girl June 1, 2016, 10:12 p.m.
15 05 23 Bognor Regis 2015-05-23 Chris Pratt Feb. 27, 2015, 9:18 p.m.
IOW19 Saturday 2019-02-16 Cathy Daldy Feb. 6, 2019, 4:07 p.m.
Atholl SCDC Week 34 End of Season Programme 21/05/19 Website:-www.athollscdc.co.uk/ 2019-05-21 Brian Martin Feb. 4, 2019, 6:21 p.m.
RSCDS Birmingham - New Year Social 2016 2016-01-09 Nicola Scott Aug. 31, 2015, 1:29 p.m.
Linlithgow SCDC 07 December 2018 2018-12-07 John Watkins Dec. 2, 2018, 1:53 p.m.
Trinity SCDC Edinburgh 2017/11/11 Susan MacFadyen 2017-11-11 Daniel Hintermann Nov. 6, 2017, 1:17 p.m.
TSC Sorrento Week 1 2017-03-10 (Friday) 2017-03-10 Amanda Peart Jan. 5, 2017, 1:08 p.m.
Vienna 2014 Saturday Social Dance Lena Hamelbeck-Galle March 23, 2014, 10:13 a.m.
2019_05_18 BS&RC Spring Dance 2019 2019-05-18 Gerard Elliott March 1, 2019, 9:47 a.m.
South Wales 50th Anniversary Ball 2019 Margaret Chambers April 19, 2019, 12:37 p.m.
RSCSS Leicester Class - 1 Feb 2018 2018-02-01 Margaret Spence Jan. 2, 2018, 12:24 p.m.
160726 w2 - St Andrews Br. Summer Dance 2016-07-26 Martina Mueller-Franz April 21, 2016, 1:57 p.m.
2018 New Year Dance, Leith 2018-01-02 John McLean Dec. 20, 2017, 2:11 p.m.
RSCDS London Branch Day School Dance 2017 2017-10-21 Elaine Davies July 15, 2017, 8 p.m.
Dunfermline Summer Dance 25 July18 2018-07-25 John McLean July 20, 2018, 9:55 p.m.
Leicester Caledonian 21 May 2018 2018-05-21 Margaret Spence May 11, 2018, 9:28 a.m.
'Intensivtanzen' Münster 11 December 2016 2016-12-11 Edwin Werner Dec. 2, 2017, 8:13 p.m.
FSCDC 7 May 2013 2013-05-07 Anselm Lingnau May 7, 2013, 4:51 p.m.
Chiswick - 25 February 2018 (orig) 2018-02-25 James Wilson Feb. 26, 2018, 11:07 a.m.
Kuckucksnest Easter Course 2018: last evening 2018-04-01 Verena Ebling April 17, 2018, 10:31 p.m.
RSCDS Birmingham - Day School Social 2014 Nicola Scott Feb. 18, 2014, 11:48 p.m.
Vienna Branch Welcome Back Dance, 12.9.2018 2018-06-27 Felix Hamelbeck Sept. 12, 2018, 8:05 a.m.
Maidenhead 2012-11-18 Afternoon Tea Dance 2012-11-18 David McQuillan Oct. 4, 2012, 12:48 a.m.
Heidelberg Ball 2013-05-11 2013-05-11 Anselm Lingnau May 7, 2013, 4:33 p.m.
Hude Ball 2012 2012-04-14 Cord Walter May 24, 2015, 12:06 a.m.
Leicester RSCDS Christmas Dance - 3 Dec 2016 2016-12-03 Margaret Spence Nov. 17, 2016, 10:31 a.m.
RSCDS Edinburgh Christmas Dance 2016 2016-12-10 RSCDS Edinburgh Oct. 20, 2017, 3:15 p.m.
Chiswick - 25 February 2018 2018-02-25 James Wilson Feb. 26, 2018, 11:12 a.m.
Bielefeld_Dance_2016_V2 Verl Girl May 15, 2016, 6:55 p.m.
RSCDS Cheshire New Year Ball Sat 10 January 2015 2015-01-10 Christine Grove Oct. 7, 2014, 5:18 p.m.
Atholl SCDC Week 18 Brian`s Programme 29/01/19 Website:-www.athollscdc.co.uk/ 2019-01-29 Brian Martin Jan. 5, 2019, 5:50 p.m.
Darmstadt_40th_anniversary OnYourToes Darmstadt Nov. 6, 2015, 2:33 a.m.
Martice Xmas 2017 2017-12-18 Kate Kinnear Nov. 21, 2017, 2:47 p.m.
Trinity SCD Club Edinburgh 25/03/2017 James coutts 2017-03-25 Daniel Hintermann March 20, 2017, 11:15 a.m.
2018 St. Petersburg White Nights Dance 2018-06-22 Anton Korobeynikov June 20, 2018, 10:31 p.m.
Newbury 2015-11-07 Diamond Anniversary Dance 2015-11-07 David McQuillan Oct. 8, 2015, 2:35 p.m.
Berkhamsted (BSRC) Spring Dance 2017 2017-05-20 Jane Rose April 13, 2017, 10:50 p.m.
BS&RC Spring Dance 2017 2017-05-20 Robert Baker-Glenn March 19, 2017, 6:15 p.m.
Scotia - 01 August 2016 2016-08-01 Peter Price Aug. 1, 2016, 10:02 p.m. 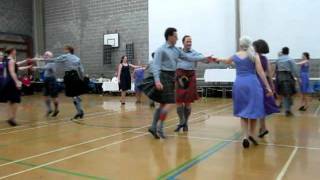 Dances to Song Tunes - Fifteen Scottish Country Dances by Hugh Foss 2015-09-20 Angelika Schmidkonz Sept. 20, 2015, 9:15 p.m.
RSCDS Birmingham - St Andrews Social 2017 2017-11-18 Nicola Scott Sept. 16, 2017, 1:38 p.m.
Newark Annual Dance 22 Oct 2016 2016-10-22 John Aitken July 22, 2016, 7:02 p.m.
RSCDS Richmond (N. Yorks) Spring Dance 2018 2018-04-21 Nameless Dancer Feb. 10, 2018, 3:42 a.m.
Castle Douglas 2018 2018-11-10 John Riddet Nov. 6, 2018, 12:21 p.m.
Karlsruhe Mid-Summer Ball 2003 2003-06-28 Cord Walter May 23, 2015, 9:39 p.m.
Münster Christmas Ball 2009 2009-12-19 Edwin Werner Sept. 30, 2016, 10:34 a.m.
DansdagDenHaag2015-10-11 2015-10-11 Eric Ferguson Oct. 12, 2015, 9:07 a.m.
Hugh Foss Dances- 'The Reel' Issue 302 Elaine Davies Oct. 13, 2017, 2:15 p.m.
Social Dance 9.5.2015 2015-04-11 Felix Hamelbeck May 5, 2015, 7:04 a.m.